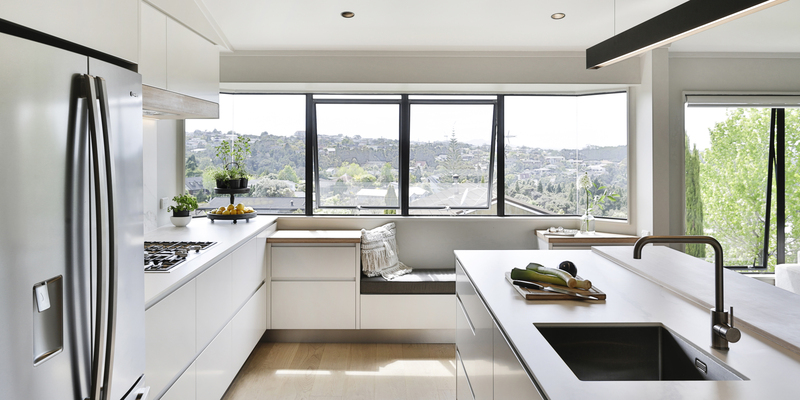 Kitchens By Design | Kitchen Design for Discerning Clients : Chatswood. 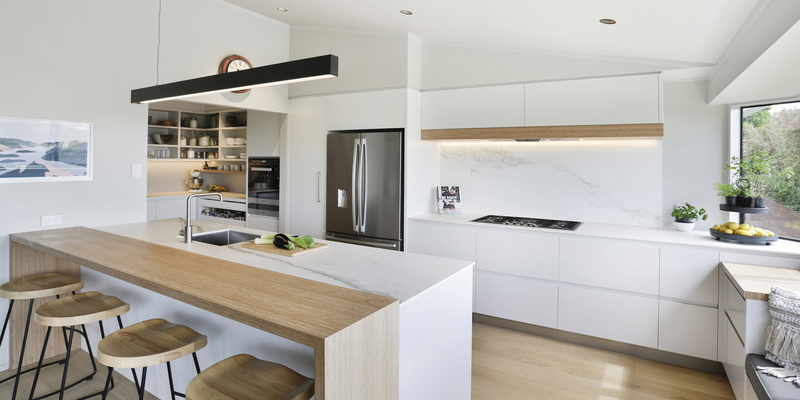 This modern take on a Scandinavian-style kitchen is light filled and clean lined, and now provides our clients, whose children have entered their teenage years, with a functional space that the whole family can enjoy. Material choice was one of the biggest decisions that had to be made with this kitchen. Our clients requested something light and clean looking, but it also had to be durable and low maintenance. 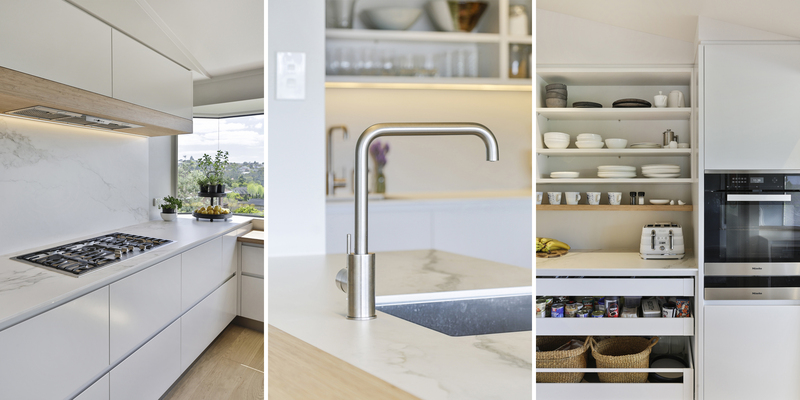 A high-pressure porcelain benchtop with a bamboo breakfast bar was the answer. 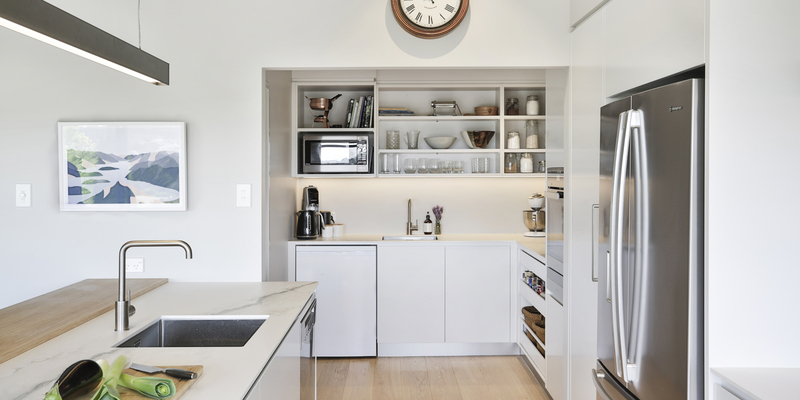 Reconfiguring the kitchen to include a scullery area has made the overall space much more practical and user friendly, and the open shelving, one of the requests from the homeowners, means that everything is easily accessible. 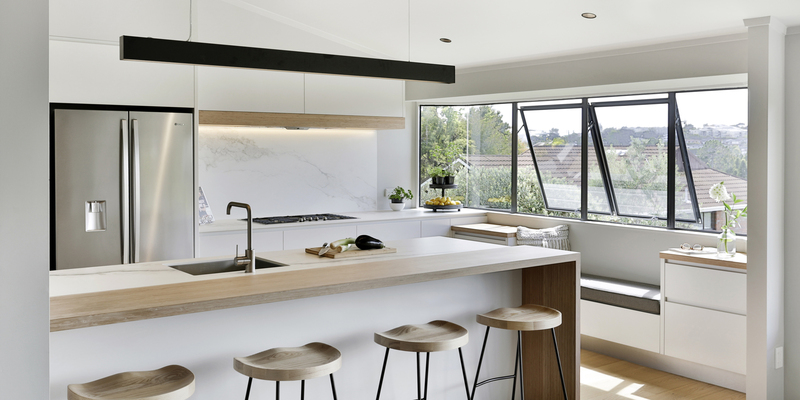 One of the key design elements of this kitchen was the inclusion of the window seat, which the homeowner says is now one of her favourite places in the house to sit and relax. Reconfiguring the kitchen to include a scullery area has made the overall space much more practical and user friendly.